​The E135B is compliant with European Directives concerning electromagnetic compatibility and noise level.The emissions of the new Stage IIIA MITSUBISHI engine have been dramatically reduced and are, as shown below, much lower than standard requirements. ...a real Environmentally Friendly machine. 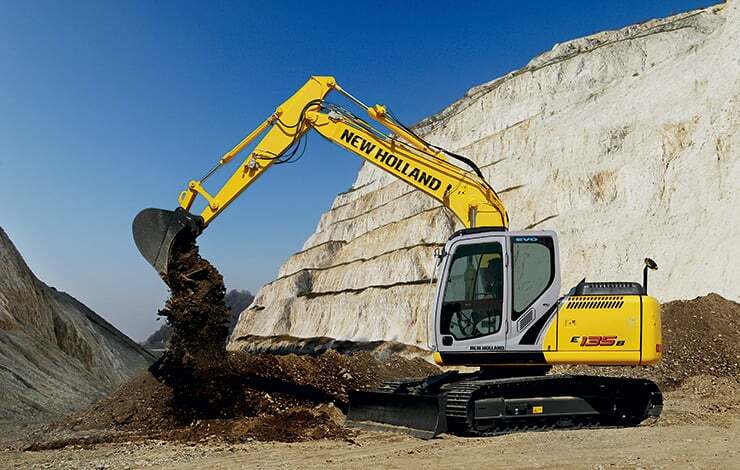 To obtain a Hydraulic Circuit which is much more efficient, controllable, fast, powerful and which consumes less fuel than the previous one, New Holland has been working on almost all components. Starting from the state-of-the-art latest generation, low noise pump to the redesigned control valve with added second arm spool, high swing output torque and new working mode selection functions. All these improvements, combined with rigorous inspections to drastically reduce pressure loss in the whole circuit, result in smooth and precise movements and better machine controllability especially on operations that require combined movements. These outstanding characteristics are further enhanced by the new H.A.O.A. Control. Booms and Arms have been redesigned using advanced CAD (Computer Aided Design) and FEM (Finite Elements Methodology) Systems to get higher strength only in those areas where stresses are concentrated. These sophisticated design methodologies are combined with the most advanced production technologies, providing high tensile steel plates that are cut, assembled and welded at the New Holland plant, which has held the prestigious "Vision 2000" Quality Certification for many years. The same innovative guidelines, to achieve Heavy Duty maximum strength together with outstanding torsional and flexional resistance, are applied in design and manufacture of upper structure and the undercarriage. comfort and to enable optimum operator performance. easy to find and to reach. The radio and the new, more powerful and effective automatic air-conditioning system are standard equipment, creating an agreeable working atmosphere regardless of external weather conditions. At the same time, new interior design and materials create an elegant feeling. 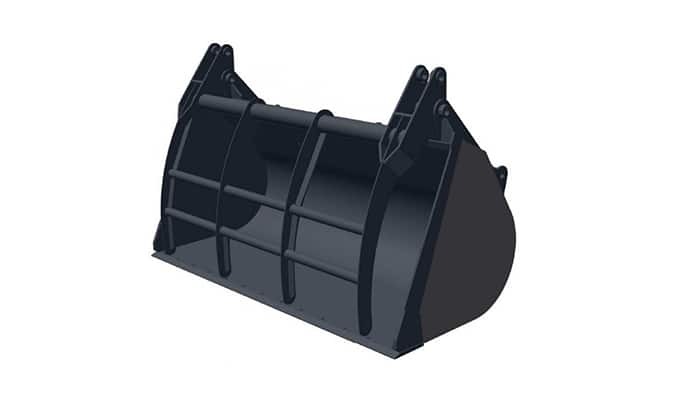 Rigid cab construction, combined with six silicon liquid filled viscous dumpers, minimises vibrations. 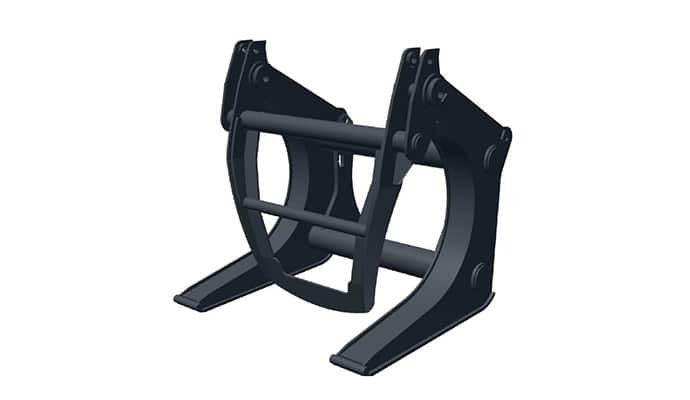 Threaded holes, built into the cab structure, enable fast and easy attachment of optional FOPS structure and front guard, effectively contributing to operator safety. maintenance and servicing much easier and less time-consuming. easy to reach from top. 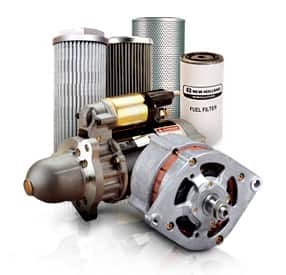 Cooling components (radiator, hydraulic oil cooler and intercooler) are mounted in parallel for an increased cooling efficiency and consequently raises the components reliability whilst being easier to check and clean.